← Otterday Supplement: Newly Relocated Otterpile! A 12-week-old puppy for your Sunday delectation. Autumn and I ran into Henry and his mom when we were out on Polk Street for dinner, and our heads exploded with cuteness. Henry is the product of attempts to breed a miniature golden retriever, by crossing in cocker spaniels. Some breeders call them ‘comfort retrievers’, and some call them ‘miniature golden retrievers’, but whatever you call them, I’ll take three. It was tough getting any pictures of Henry at all. I just wanted to drop the camera and give him some love. Training treats. He really was being surprisingly good, for a twelve-week-old puppy. 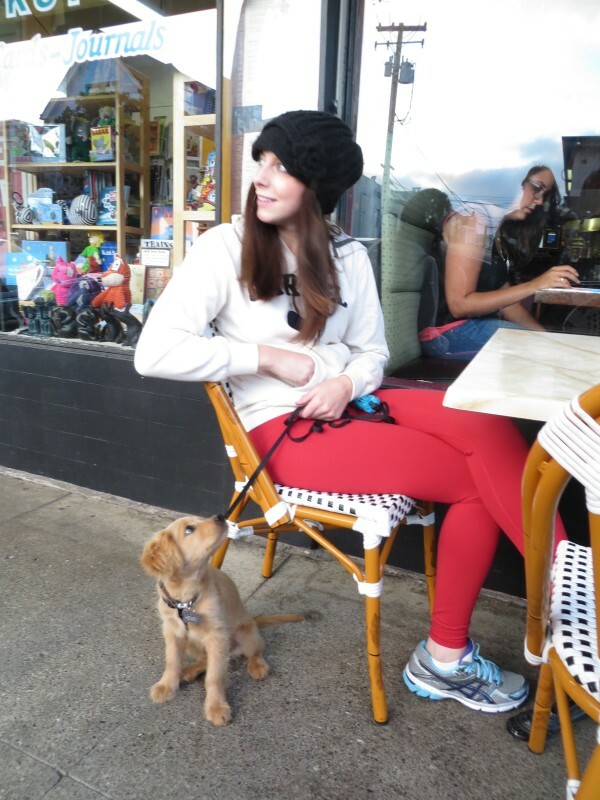 A winning strategy: sit at a sidewalk cafe with a dog that cute, instantly make friends with everyone who walks by. 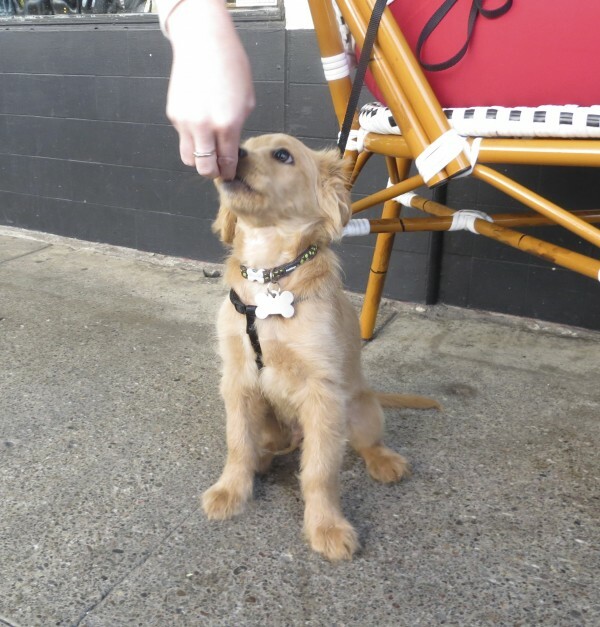 Every single person who walked by while we were there stopped to pet the puppy. And two other people stopped to take pictures. 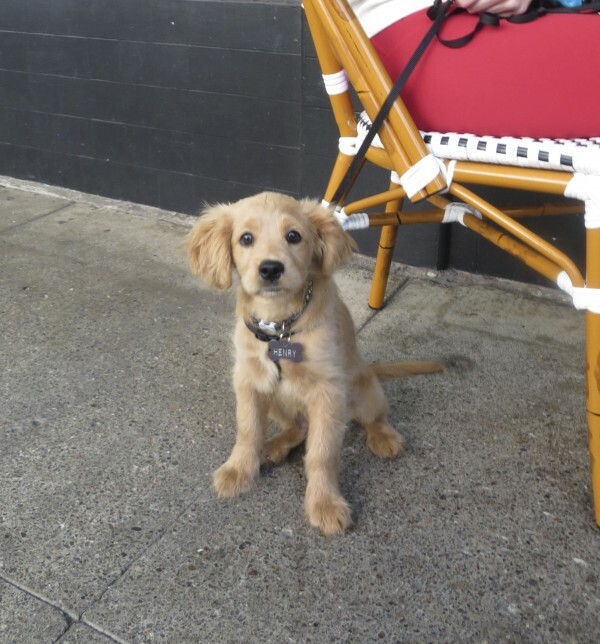 This entry was posted in Dog of the Day and tagged Cocker Spaniel, Comfort Retriever, Golden Retriever, Miniature Golden Retriever, Mixed Breed, Polk Street, Russian Hill. Bookmark the permalink. He’s precious. Our little Chloe looks EXACTLY like him! Ohh yes. He was, and I’m sure still is, killer cute. In the pictures he was 12 weeks old. He’s now about five, though.